Mussoorie is a popular tourist destination in India so it is no surprise that the street food scene is amazing. Restaurants, cafes and street food stalls serve a variety of cuisines, catering to the palates of different tourists who visit the hill station. From Chinese to Indian food, and even European cuisine, you will find plenty of great food being served all over Mussoorie. Tourists can savour a variety of cuisines in Mussoorie, but Kumaon and Garhwal food remains at the heart of the food scene. Prepared using local ingredients, Kumaon and Garhwal cuisine is commonly found in Mussoorie. Many restaurants and food stalls, especially near the market, specialise in this food. This article will give you a deep insight into the best street food in Mussoorie. So, the next time you are looking to try a new dish or pick something that is popular with locals, try our suggestions below. Aloo ke Gutke is an important dish in Mussoorie. It is prepared using roasted dry spices and boiled pahari potatoes. 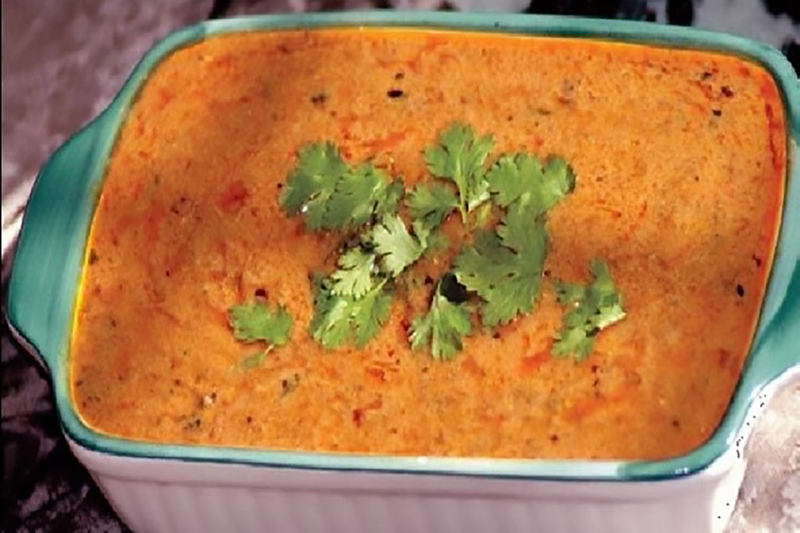 Mildly spiced, this dish is commonly eaten at festivals. However, it is served in restaurants as well. Aloo ke Gutke is best eaten with puris and Kheera ka Raita that is normally served with the dish. This dish is nothing but spinach curry. Commonly prepared in the winter season, this warm and calming dish is popular at many vegetarian restaurants in Mussoorie. The dish is made using a blend of spinach and lai. Some people make it differently, instead of spinach, they use fenugreek leaves. Kafuli is best enjoyed with steamed rice or a plain jeera pulao. Phaanu is a dish that actually originated in Garhwal, but to the migration of people, it made its way to Mussoorie. Delicious and tasty, the dish is made using lentils that include the Gahat dal. Normally eaten with rice, this dish can also be enjoyed with rotis. Chainsoo is made using a variety of dals and locally made masala. The dals are roasted to give the dish an earthy flavour, while the spices leave an amazing aroma. Slow cooked, this dish is best savoured with rice or a chapati. Bhang Ki Chutney, yes you heard that right, this dish does have bhang in it and it is actually a delicacy in Mussoorie. 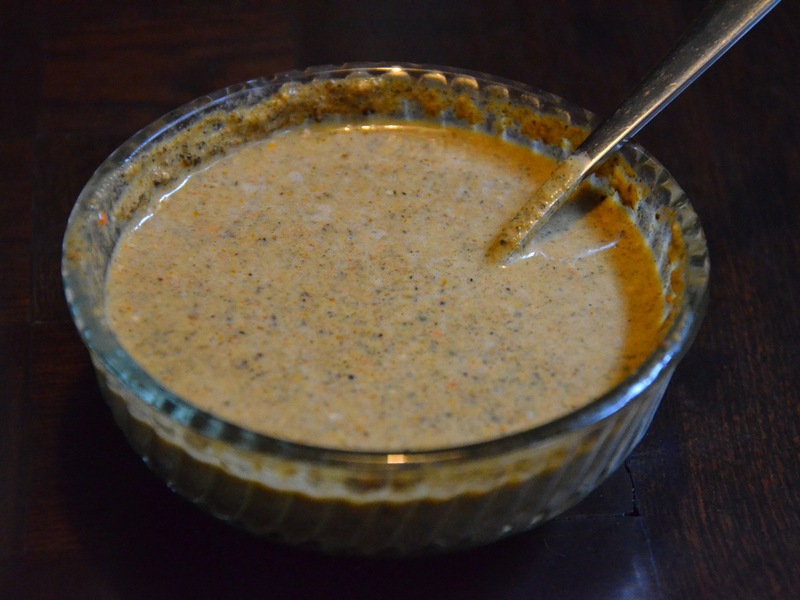 Served as a side dish, Bhang Ki Chutney is also made with hemp seeds. The seeds add a fresh aroma and a delicious taste. You may be wondering why there is so much dal featured on this list, but that’s how it is in Mussoorie. Most delicacies are dal-based and Garhwal ka Fannah is no different. The dish is cooked in a brown-based gravy and made using black gram dal. Some locals and restaurants make it different, using different kinds of dals. The dish is often served for lunch or dinner and goes well with steamed rice. It is Mussoorie’s answer to rajma chawal. In the evening near the Mall Road, you will find plenty of street food vendors cooking delicious kebabs. Served with a naan, bread and chutney, these kebabs are fresh off the grill and hot. Best enjoyed during the winters, any non-vegetarian person must try the kebabs near the Mall Road. Chilli chicken is a popular Chinese dish in Mussoorie. Whether it is at a roadside stall or a restaurant, you will find many tourists savouring this dish. The best part about chilly chicken is that it can be eaten plain or with fried rice. To tone down the spiciness of the dish, you can ask the chef to use capsicums instead of the spicy chillies. The Tibetan community in Mussoorie brought with them momos. Steam dumplings filled with chicken or pork, this dish is savoured with a red spicy sauce. Stalls near the Tibetan Market serve and make the best momos in Mussoorie. Vegetarian options are available, too. Chaat is a popular street snack all over India, well at least in most parts. In Mussoorie, the snack items are popular, too. In and around commercial areas, you can find chaat stalls selling golgappas, sev puri, sev batata puri and many other chaat dishes. Usually had as a tea time snack, die-hard chaat lovers will tell you that you can eat the delicacy at any time of the day. The Landour Bakehouse and Emily’s Bakery are two shops in Mussoorie that have excellent offerings of cakes and pastries. Both shops are family run businesses and have been in existence for several years. Apart from cakes and pastries, these bakeries also sell jams and biscuits. Omelettes are the favourite breakfast item of the non-vegetarian folk in Mussoorie. The best place to eat omelettes in Mussoorie is at the Char Dukan near the Lal Tibba. If you love a big breakfast, choose the cheese omelette that is served with toast and order a chai on the side. These dishes can be found at restaurants and food stalls near the Mall Road and on the Sisters Bazaar Road. Another good place for food is the Landour Bazaar. So the next time you are in Mussoorie and eager to explore the hill station’s food scene, these dishes are what you should try.